What does the menu in the top-right do? – Inventory – Lets you change your SqwAvatar’s clothes and swap SqwishHome designs while at your SqwishHome. 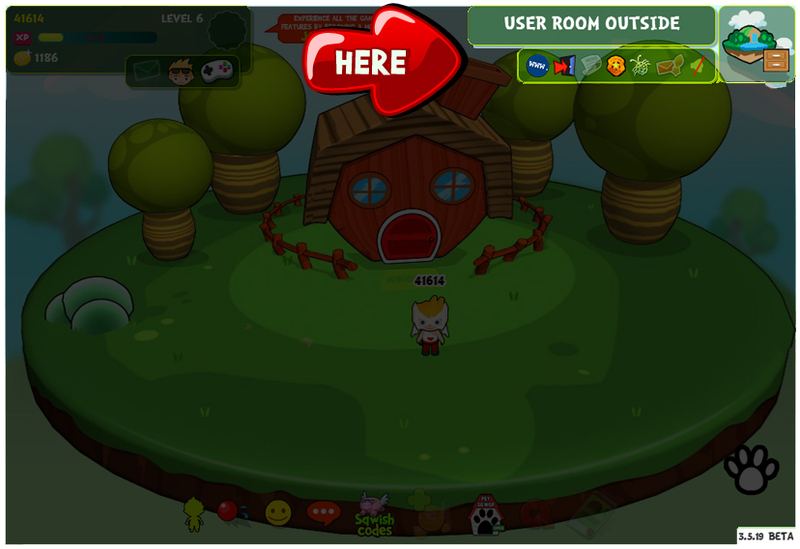 – Return to main site – Allows you to go directly to the SqwishLand.com Home Page. – Log out – Takes you to the Log-In screen where you can change accounts. – View news – Read up on the latest and greatest news in SqwishLand! Be sure to check back regularly to learn about upcoming Events and Give-Aways! – Request help – Having trouble with something? Let us know and we’ll get right over to you and help out! – Report bugs/errors – Please report any and all glitches you find and help us make SqwishLand a better place for everyone! – Check inbox – Lets you view any SqwishCards your friends sent you. – Adjust audio – Allows you to turn the background music on/off.